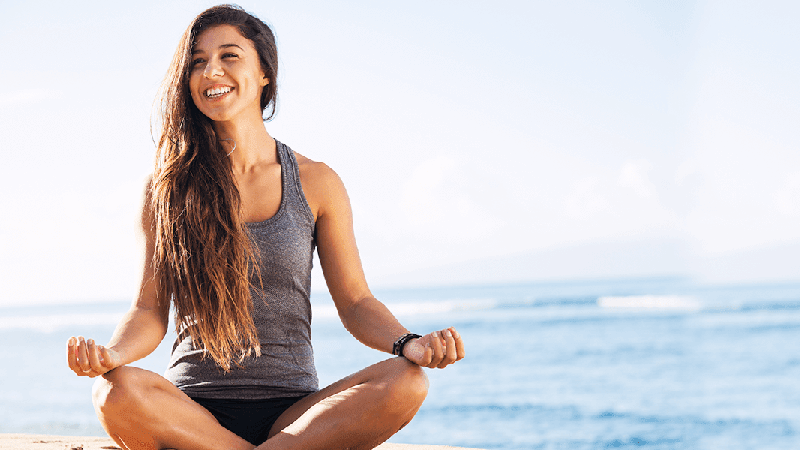 A single cloud native application can consist of thousands of microservices running inside of containers, and millions of interdependencies, adding layers of complexity to an already convoluted digital ecosystem. 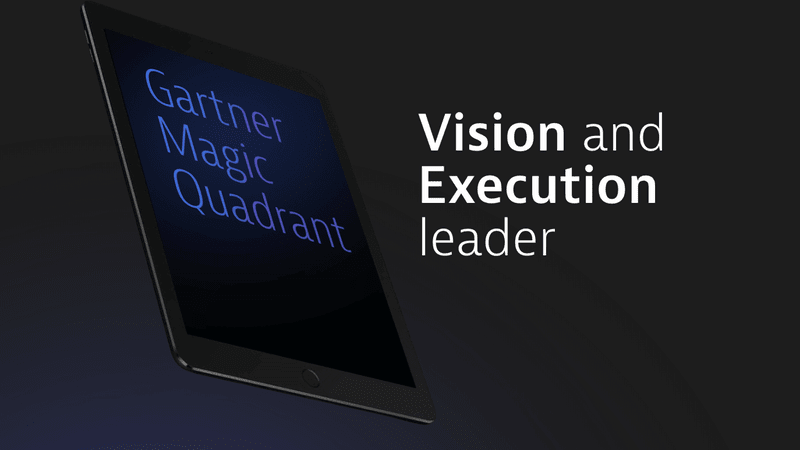 The manual effort to deploy, manage and get value is no longer feasible. You need automation every step of the way. 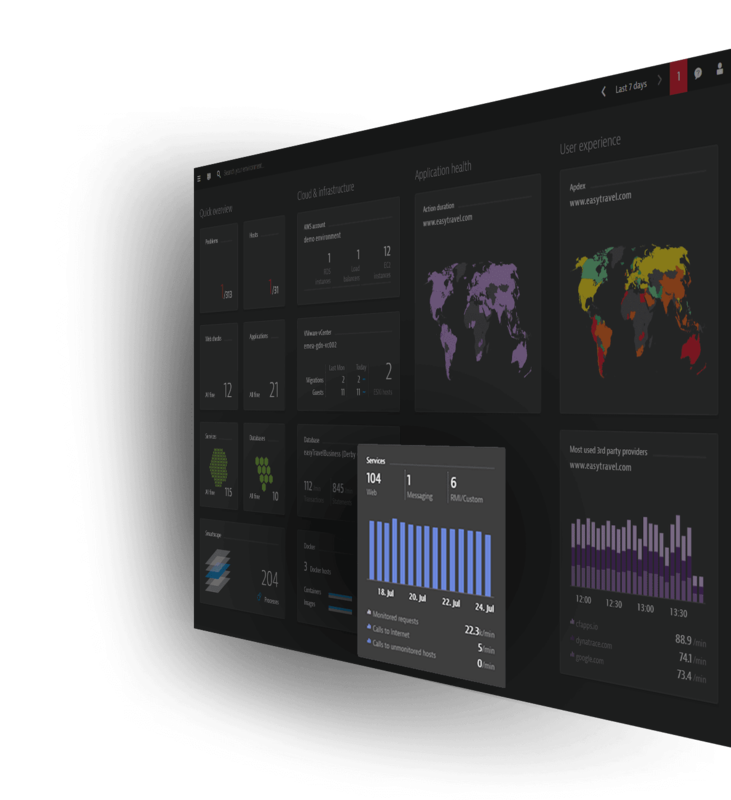 Massive automation is the key of the Dynatrace platform and powers every aspect of our software intelligence solution. Install just a single agent per host to begin collecting all relevant metrics along your application-delivery chain. 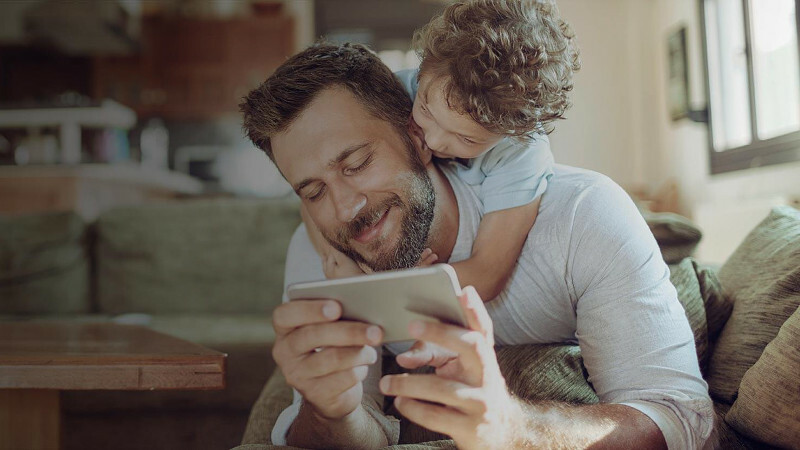 Install it and forget it – our AI takes care of everything else fully automated. 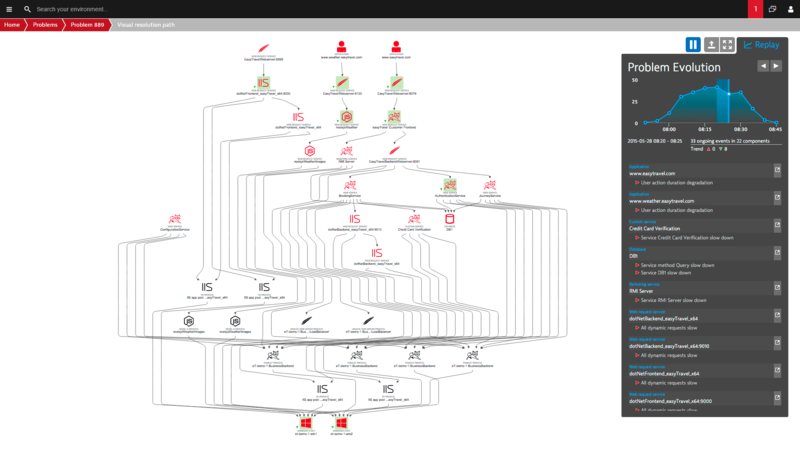 Dynatrace OneAgent discovers all processes running on the host and automatically activates instrumentation specifically for your stack. New components get auto-instrumented on the fly. 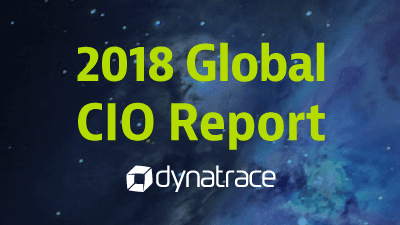 Dynatrace automatically discovers your cloud environment. We create a three-dimensional map that shows all the relationships and dependencies, both vertically up and down the stack and horizontally between services, processes and hosts. 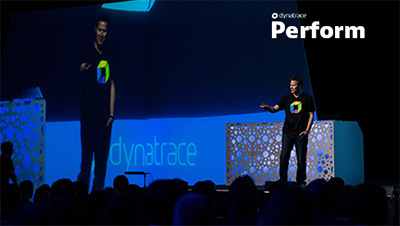 Dynatrace automatically learns normal performance, dynamically adapting as your environment changes. 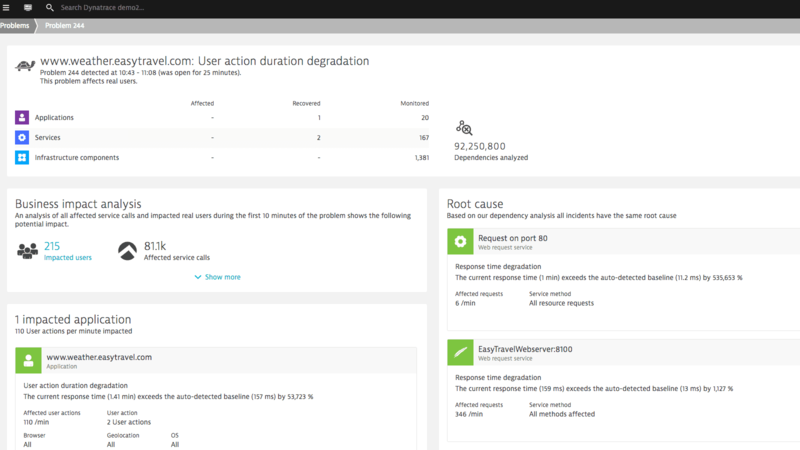 Not only do we proactively alert you to problems, but Dynatrace also automatically shows you the business impact, so your team can focus on what matters most. 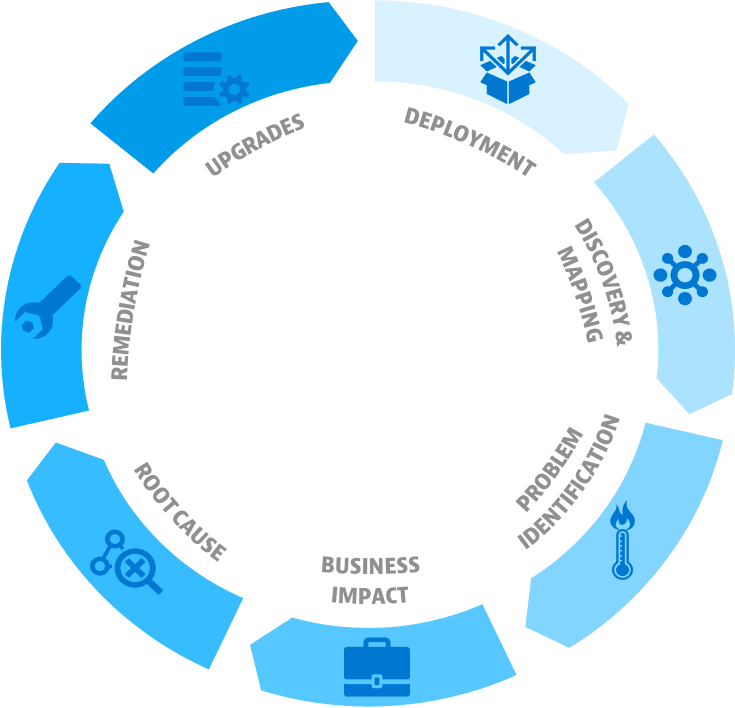 Dynatrace fully automates root cause analysis. 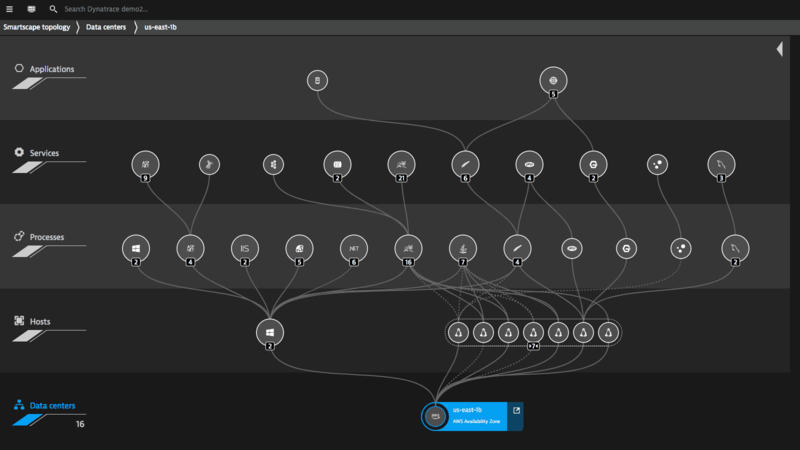 Because we understand all the relationships and dependencies that make up your application, the Dynatrace AI engine can show you with certainty what the root cause of a problem is, and how we found it. Even better, you can also automate remediation for many issues through integration with continuous delivery tools. 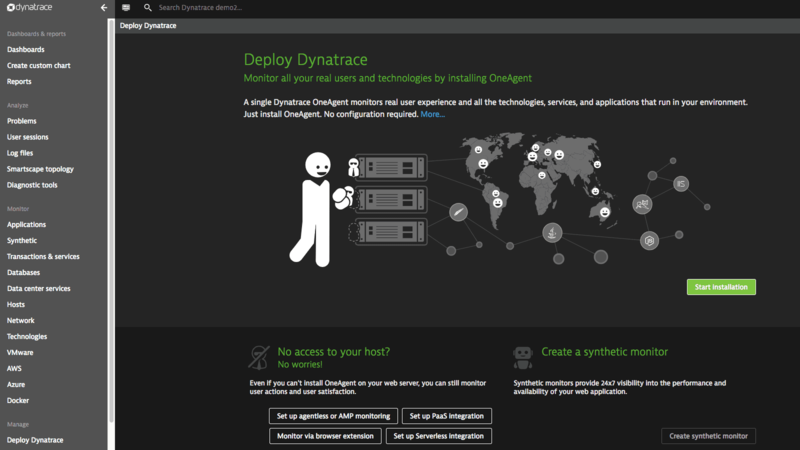 With Dynatrace, the deployment process couldn’t be easier. Simply install OneAgent on your hosts or in your PaaS environments, and that’s it. 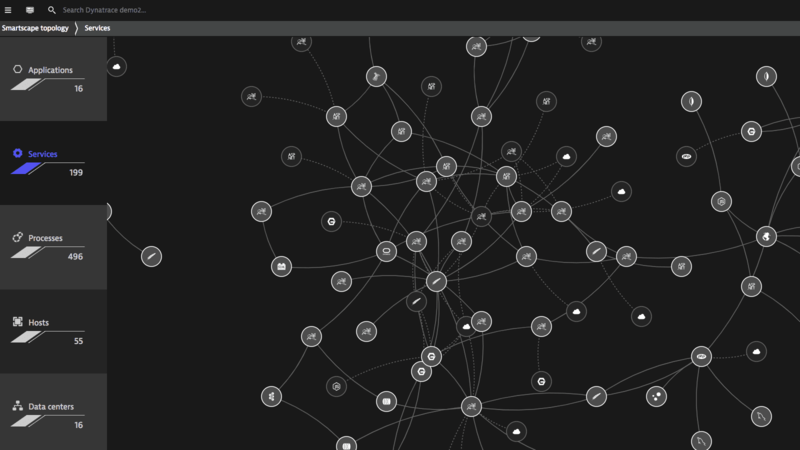 In minutes, we auto-discover your entire stack, end-to-end, even those processes running inside containers. Upgrades are automated as well. You control when they happen, and we do the rest. "We went from zero to 12,000 hosts in less than two months. Our staging environment and production roll out happened while I was having some beers and a BBQ over the weekend! 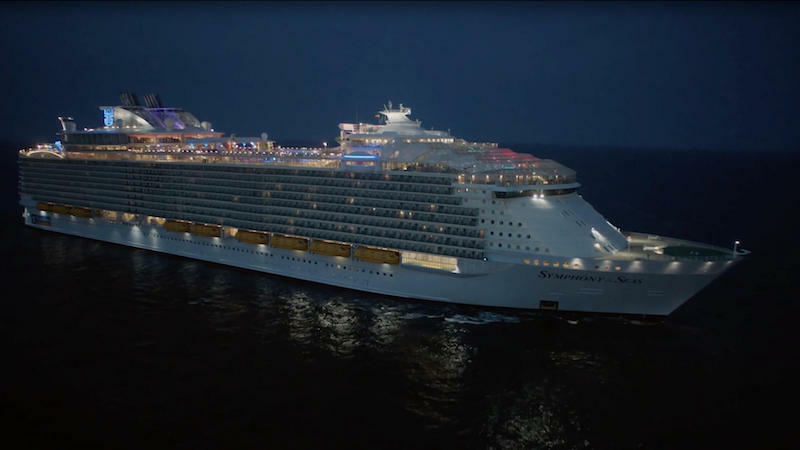 Automation, trust and tools were key to this success."